This is such a gret time of year– things are blooming and turning green outdoors and after a winter of nothing but root vegetables at the farmer’s market you start to see fresh green things. This risotto uses some of those fresh farmer’s market ingredients and truly tastes like spring. Peas, leeks, chives, (okay, not exactly from the farmer’s market, but still fresh!) and crimini mushrooms are where it’s at. The recipe calls for fennel as well, though I am not a huge fan so omitted it but you should totally add it if that’s your thing. All of the vegetables get blended with arborio rice which turns creamy and luxurious upon cooking in a combination of chicken broth (you could make it vegetarian and use vegetable broth) and a little bit of dry white wine. I think many shy away from making risotto because they get intimidated by the amount of stirring that’s involved, but it’s really not that bad! And the end result is totally worth any amount of stirring anyway. This particular recipe calls for a poached egg to be served on top and it’s a great idea. 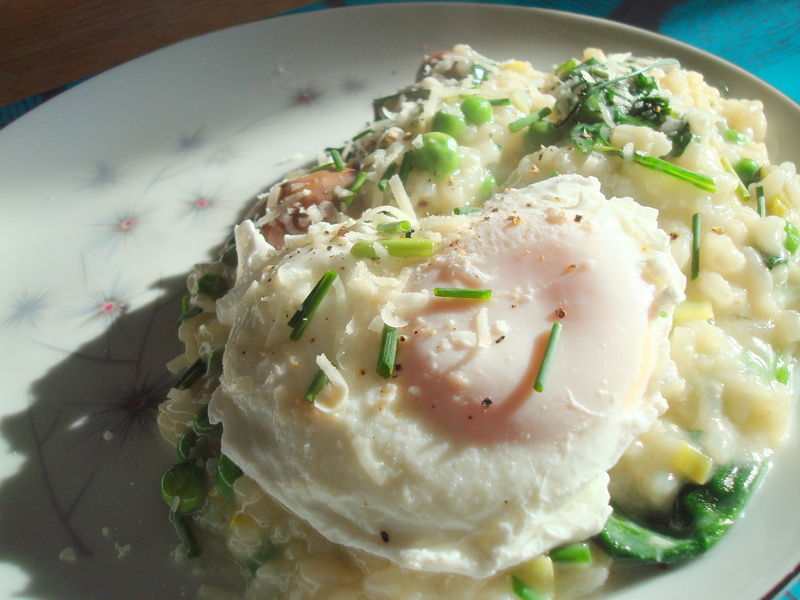 When you break the egg the yolk is still soft and melds in with the rest of the risotto so nicely. I think the egg also takes it from being a side dish to the main feature. And what a nice main feature it is! If using fresh fava beans, cook in a large saucepan of boiling salted water 1 minute. Drain; transfer to a bowl of ice water and let cool. Peel favas and transfer to a small bowl. Bring a large skillet of salted water to a bare simmer over medium-low heat. Add vinegar. Crack 1 egg into a small bowl, then slide into simmering water. Repeat with 2 more eggs. Cook until whites are cooked but yolks are runny, about 3 minutes. Using a slotted spoon, carefully transfer eggs to a bowl of ice water. Repeat with remaining 3 eggs. Bring broth to a simmer in a large saucepan over medium heat. Reduce heat to low; cover and keep warm. Meanwhile, melt 1 tablespoon butter in a large, wide heavy pot over medium heat. 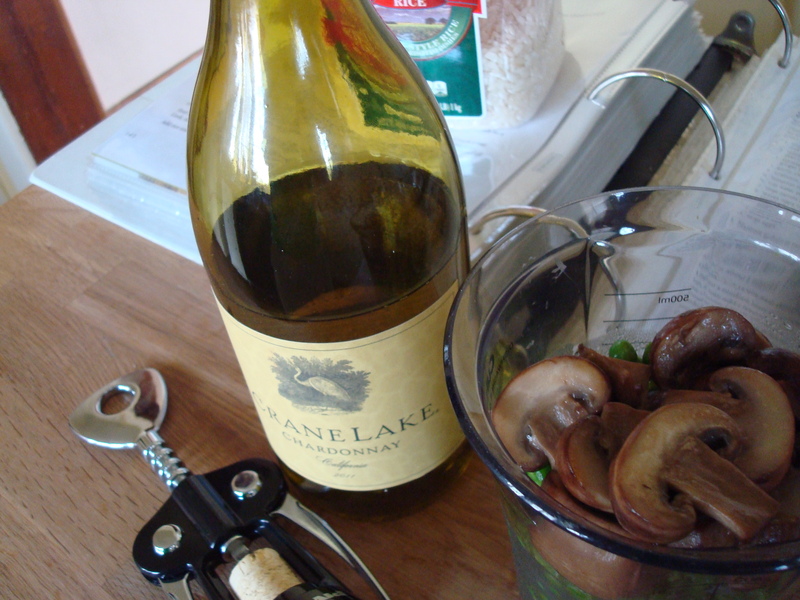 Add mushrooms and cook, stirring often, until tender, about 5 minutes. Using a slotted spoon, transfer to bowl with favas. Heat oil and remaining 1 tablespoon butter in same pot over medium heat. Add leeks, fennel, and garlic. 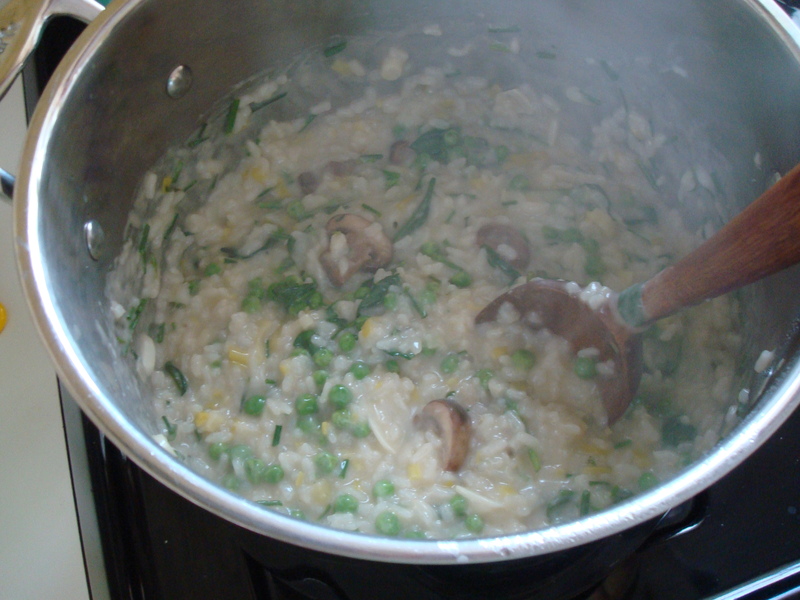 Cook, stirring often, until vegetables are softened, about 4 minutes. Add rice and stir to coat, about 2 minutes. Add wine and cook, stirring occasionally, until evaporated, about 4 minutes. Add 1 cup broth. Cook, stirring often (no need to stir constantly), until broth is almost absorbed. Add remaining broth by cupfuls, allowing broth to be absorbed before adding more, stirring often, until rice is tender but still firm to the bite and mixture is creamy, about 20 minutes total. 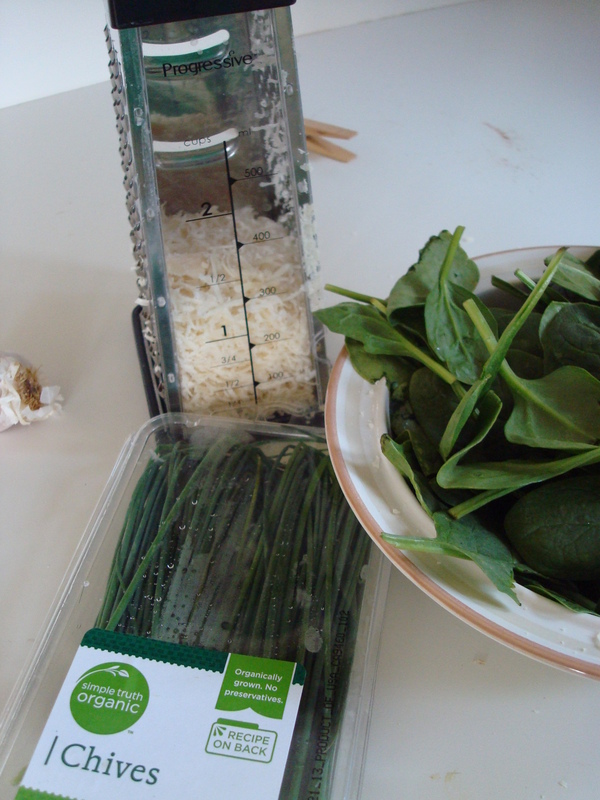 Add spinach, crème fraîche, 1 1/2 cups grated Pecorino, 1/4 cup chives, and reserved fava beans and mushrooms to risotto. Cook, stirring occasionally, until spinach is wilted and cheese is melted, about 2 minutes. Season risotto with salt. A few minutes before risotto is done, reheat poached eggs in a large skillet of simmering water, about 1 minute. 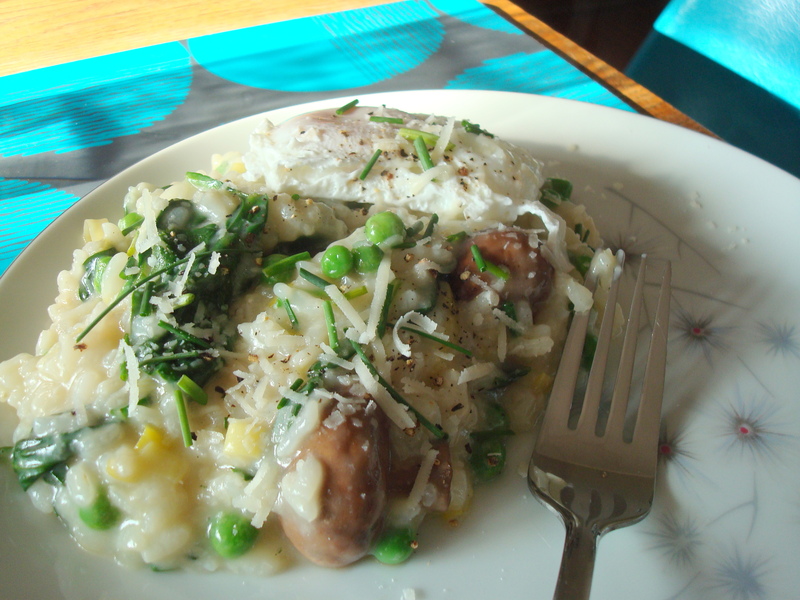 Divide risotto among bowls and top with eggs, shaved Pecorino, chives, and pepper. Beautiful presentation! Love the egg, I am inspired. Thanks friend! This is delicious! Well done!